For this Spring 2018 Stitch Fix review, I requested knit, short sleeve tops, a kimono, and easy breezy summer clothes. Let’s get into it, shall we?!? I lowered the price range for tops to the cheaper the better because I was seeing so many other people getting cute, comfy tops for very reasonable prices. I was worried the quality would be lacking, but from what I can tell so far, that isn’t the case at all! This is by far my least expensive fix, and while it’s not exactly what I asked for, I’m still pretty happy overall! As a reminder, I had asked for knit, short sleeve tops, a kimono, and easy breezy dresses/summer clothes. When I peeked at my shipment before it arrived, I was not happy to see long sleeves. Or purple. I don’t have it marked to not send purple (or any other color for that matter), but it’s not my favorite. And I definitely didn’t want long sleeves since we pretty much went from winter right into summer this year! I tried it on because a few ladies in a Stitch Fix Facebook group raved about it and said it would work on warmer days. 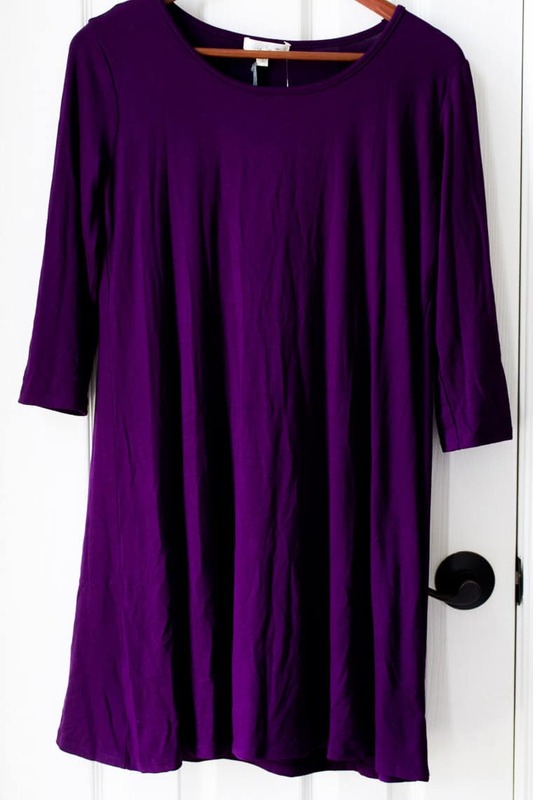 While I’m not raving, it is a really comfortable, flattering dress. I don’t agree that it would be good on warm days though. It’s definitely more of a Fall dress in my opinion. I would pair it with a denim jacket or long cardigan and knee high socks and boots. For $34.00 it’s a steal! Again, at first glance, I was not happy to see long sleeves. Or cold shoulders. I’m just not a fan. I had one cold shoulder top and my 2-year-old would constantly smack my shoulders when I was holding him. My fiancé and older son kept touching them. It was annoying. And, I just don’t get why this look is so popular. It’s kind of weird, actually. Haha! Anyway, I’m going to be listing this one for sale in the Facebook group. 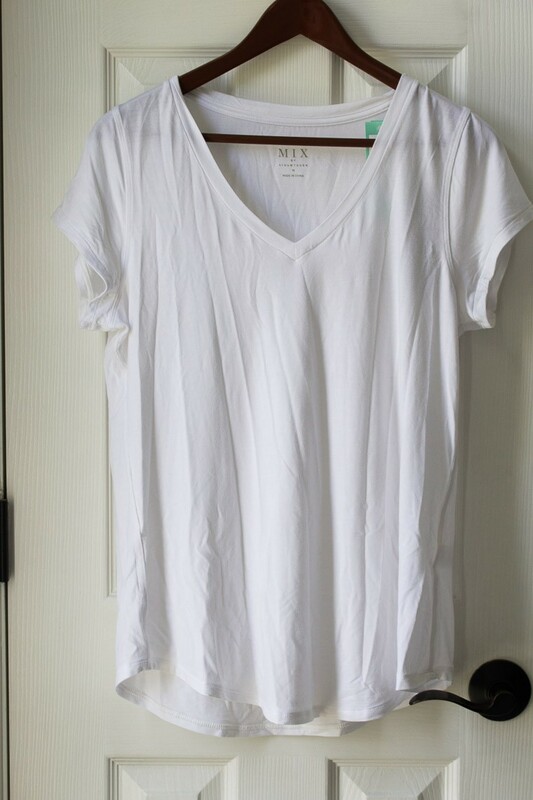 A plain white tee shirt. It’s actually really nice quality. I don’t wear white tops often because neither of my full time gigs (toddler mom and food blogger) go well with white. It’s also not that flattering on me at the moment. I might keep it for layering though. We’ll see. I was happy to see a kimono finally! I’ve mentioned I’d like one in my last couple fixes and kept seeing everyone else getting them. 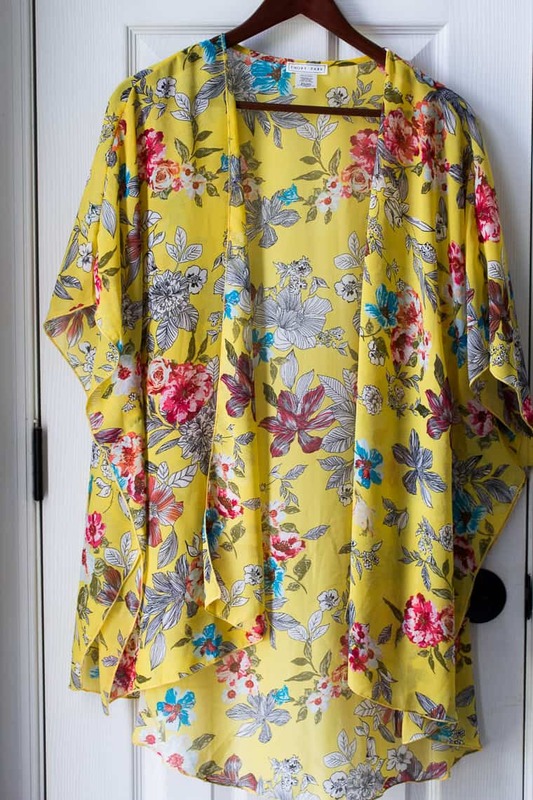 I love the yellow and floral print. It’s longer in the back so it does cover all of my shorts, but I still love it. I also think it’ll be a great coverup at the beach! I’m hoping to get a couple more in future fixes! While I’m not a fan of white tops at the moment, I do like white bottoms. 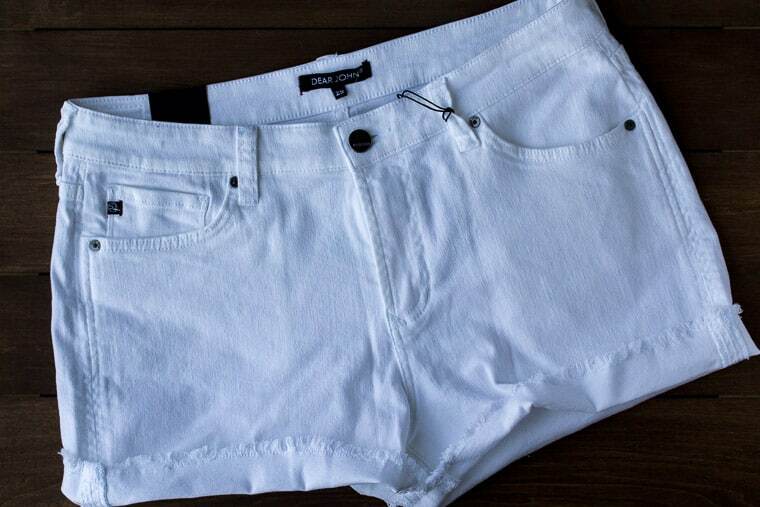 I had tried a pair of white frayed shorts from my first Trunk Club box but they were tight around my legs. They looked like someone just cut off a pair of jeans. These look like actually shorts. They are so comfortable! Definitely keeping! The total for this fix was $192.00 or $144.00 with the 25% discount for buying all 5 items, which I did. Even though this fix wasn’t totally what I was hoping for, there are definitely some great pieces. 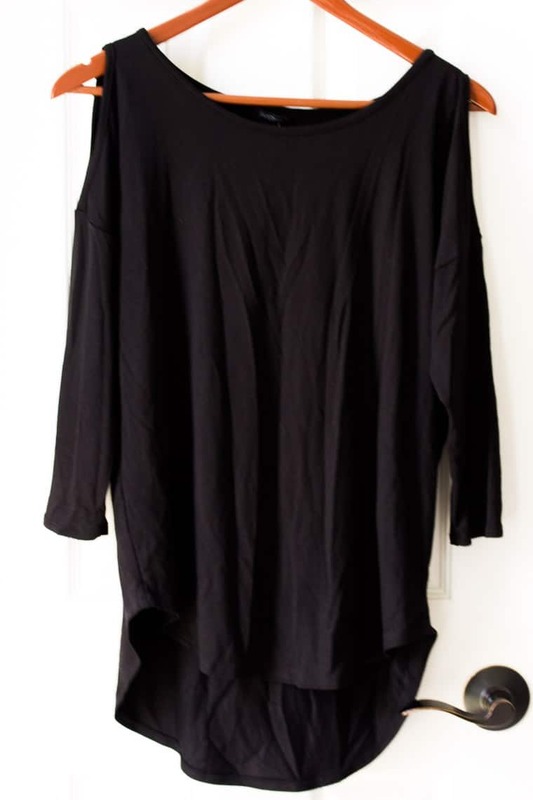 I have seen quite a few people getting long sleeves when they’ve asked for summer items. The general consensus is that there may be inventory issues or the stylist have been told to unload the winter/spring items first. My next scheduled fix has a more specific note. I mentioned that I’ll be living in Florida for most of July and that I want to focus on pieces that will be great for this trip. I asked for short sleeve knit tops (no sleeveless), maxi dresses, wedges, and let her know I’d love another kimono. I also mentioned that I’d be ecstatic if she could find me some beach, printed wide leg pants. My fingers are crossed for a more summery fix! 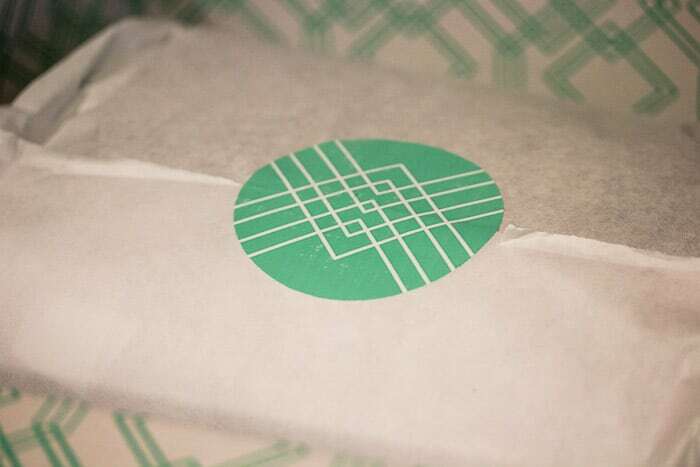 If this Spring 2018 Stitch Fix Review has you ready to try Stitch Fix for yourself, you can do so HERE! Make sure to be super specific about items you’ve seen and love. I would also definitely recommend linking an up-to-date Pinterest board that has Stitch Fix items you would love to get! You can see my Beauty, Fashion, and Style Board HERE and pin directly from this review, if you want!